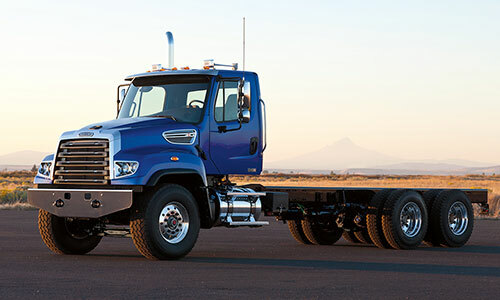 Designed for mixing, hauling and navigation of the toughest job sites with ease, Freightliner® severe-duty concrete-mixer trucks feature industry-specific innovations and customizable options for any concrete mixer application, easily keeping pace with the most challenging jobs. 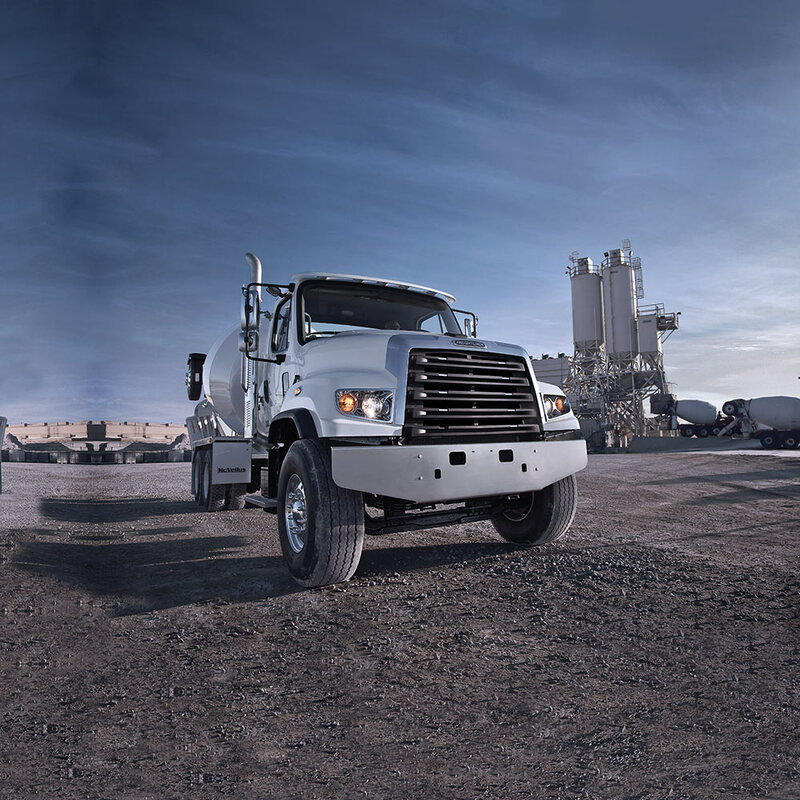 Concrete professionals appreciate the durability, efficiency and weight-optimized design of Freightliner® concrete trucks, and in particular, their variety of choices. 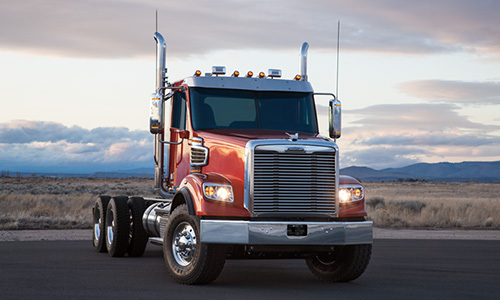 Freightliner offers a wide range of vocational rear suspensions and frame options, up to five million RBM, with set-forward or set-back front axles and the flexibility to meet bridge formulas and maximize payloads.